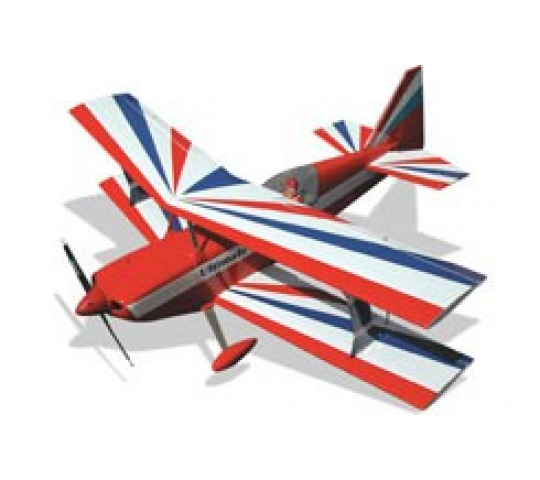 The Black Horse ARTF version of the Ultimate, an aerobatic legend. This is a highly prefabricated model, even the cabane and interplane struts are pre-finished, so there's no tricky incidence or alignment to worry about. Four ailerons and huge tail controls ensure that this Ultimate lives up to its name, with levels of performance that will cannot fail to impress even the most demanding pilot. Includes factory finished fibreglass cowl, spats, spinner, wheels, fuel tank, control horns and linkages. Supplied complete with a detailed assembly manual.